Was wäre ein langer Text ohne Fotos und Videos? Bilddokumentationen sind das Salz in der Suppe einer jeden Reisereportage. During an aviation charter of this beautiful Ilyushin 18 on April 4, 2009, a group of aviation nerds flew from Chisinau – Moldova – to Balti in the North of the country. The plane was parked on the middle of the runway and everybody picknicked right there... beneath the plane. This video was recorded in HD quality in 16:9 format. However the upload was only possible in 4:3 format. My apologies for the „crushed“ video format. Enjoy the sights and sounds of the sixties ! 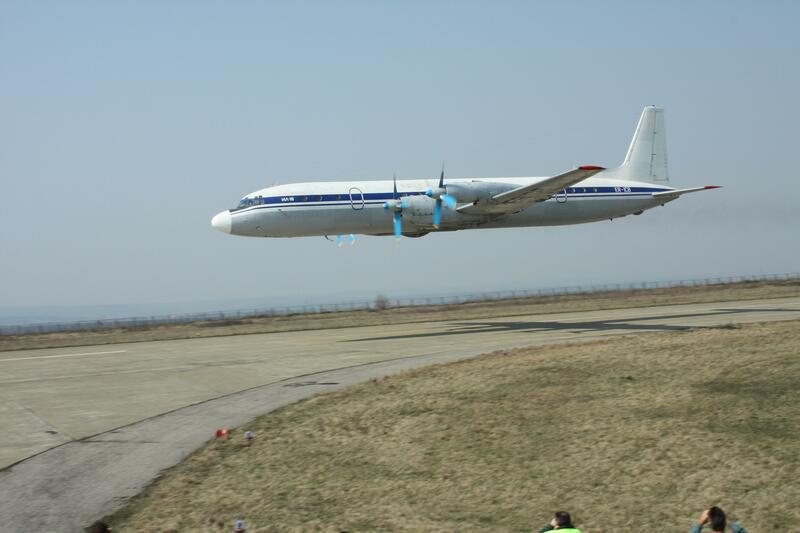 During an aviation charter of this Ilyushin 18 on April 4, 2009, the crew performed a real stunt. A gears-in low pass just a few metres above the ground. If you watch carefully you can see all the aviation nerds standing by the runway at Balti airport in Moldova taking pictures. Just a fraction of a second at 28:09. During an aviation charter of this beautiful Ilyushin 18 on April 4, 2009, a group of aviation nerds flew from Balti in the North of Moldova back to Chisinau. The plane was parked on the middle of the runway and everybody picknicked right there... beneath the plane. Thereafter a spectacular low pass was performed with gears in, just a few metres above the ground in Balti. This video features the return flight to Chisinau, not without performing a spectacular low pass in Marculesti Military Airbase and Vadul lui Voda. Viele weitere Videos von anderen Flügen finden Sie auf seine HP www.pozefilm.de. Tiefflug der Il-18 ER-ICB von Manfred Poznanski. Link, wenn nicht automatisch gestartet wird. Links zu weiteren Videos sind bei airevents.de zu finden. und am 25. Februar 2014 zuletzt bearbeitet.